Waverley Council’s sustainability transport targets, Transport Plan and key projects. Take a stroll on one of our coastal scenic walks or discover our Green Links walking routes. All you need to know about riding in Waverley including events, workshops, cycling tips, and maps. Walking and riding programs for schools. Bus routes, trains and ferries in and around the Waverley Council area. Find out how you can get access to a car, anytime, from one of the many car share pods in our area. Council is cleaning up its vehicles and encouraging staff to ride and use public transport. 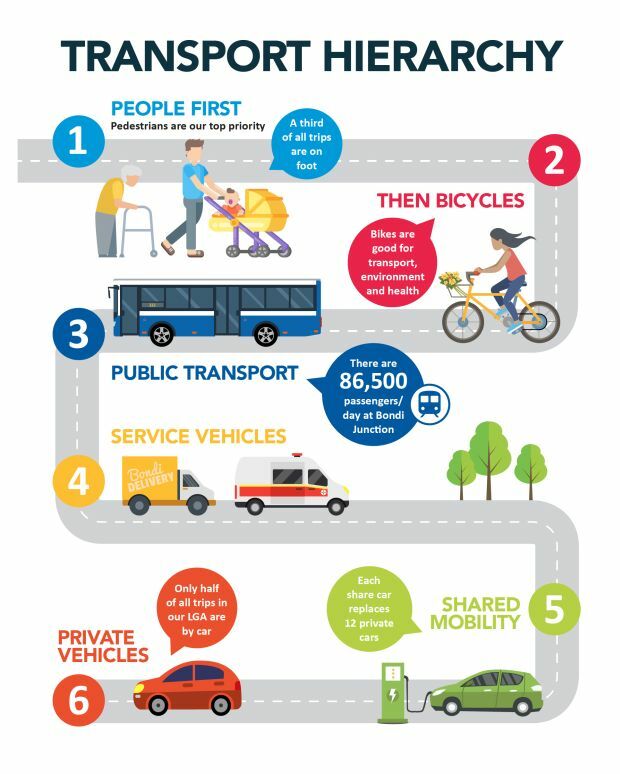 To increase transport choices for residents and visitors, improve accessibility to centres and across the whole LGA, and reduce car travel overall.